This is the French paperback edition of The Shape Shifter, Tony Hillerman's last Leaphorn and Chee novel. This edition was published by Rivages/Thriller in Paris, France. The text was translated into French by Pierre Bondil. 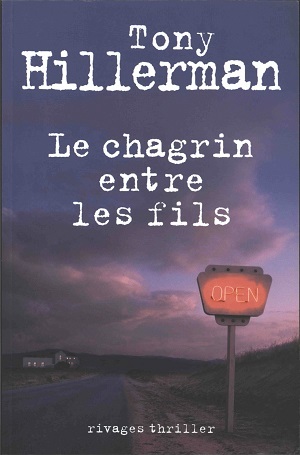 The cover is credited to Corbis and features a picture of an open sign next to a road with a building in the background. Format: Paperback, 23.5 x 15.3 cm.